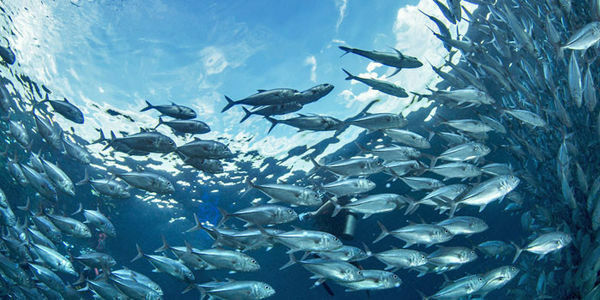 petition: Urge Congress to Protect Our Nation's Fish Populations! Urge Congress to Protect Our Nation's Fish Populations! Late last year, a key committee in the U.S. House of Representatives voted for legislation – H.R. 200 and H.R. 3588 – which would seriously weaken our nation's primary ocean fisheries management law, the Magnuson Stevens Act. A cornerstone of U.S. fisheries policy is preventing overfishing by relying on sound science-based annual catch limits. The use of annual catch limits has led to a historically low level of overfishing, affording fishermen greater stability and the ocean ecosystem more protection. However, H.R. 200 will exempt many fish stocks from having catch limits, leading to an increased risk of overfishing. It also adds broad loopholes to rebuilding overfished populations as soon as possible. The bill would undermine the protections of key conservation laws, such as the National Environmental Policy Act and the Endangered Species Act. Lastly, H.R. 3588 would exempt management of recreational red snapper fishing in the Gulf of Mexico from the conservation requirements of the Magnuson-Stevens Act and would transfer management responsibility to an untested, state-based approach. H.R. 200 and H.R. 3588 are extremely shortsighted approaches. If passed, they will take us back several decades, to the day when overfishing and depleted fish populations were chronic problems. Help ensure that fishermen, coastal communities, oceans and future generations benefit from stable, abundant fish populations. Urge your representative to vote No on H.R. 200 and H.R. 3588! I am writing to ask you to vote against H.R. 200 and H.R. 3588. These bills passed the House Natural Resources Committee in December. The bills significantly weaken the health of U.S. oceans and fisheries by increasing the risk of overfishing, which occurs when fish are caught faster than they can reproduce, and by delaying the rebuilding of vulnerable commercial and recreational fish populations to sustainable levels. Conserving America's ocean fish makes good economic and environmental sense. The law has been reauthorized—and strengthened—several times, and we should be looking to build on that progress. The law should be updated to reflect the changing needs of marine ecosystems and coastal economies, instead of taking fisheries management backwards. H.R. 200 and H.R. 3588 provide shortsighted approaches that would take us back to the day when overfishing and depleted fish populations were chronic problems. They do not strengthen our fishing economies—these bills weaken them. They will reverse recent hard-earned gains the U.S. has made towards more stable, abundant fish populations that benefit fishermen, coastal communities, oceans, and future generations. I strongly urge you to Vote NO on H.R. 200 and H.R. 3588.